Bertha Williams-Faulkner, the seventh of ten children, was born on February 6, 1930 in Minden Louisiana to the late Richard Williams, Sr. and Leola Miller Williams. She was peacefully called home on November 6, 2018. Bertha grew up in Louisiana and enjoyed spending time with family and friends and assembling complex puzzles. She attended Webster High School in Minden, Louisiana. Bertha was best known for her no nonsense personality and had no problems sharing what was on her mind, regardless of who liked it or not. “Mom Bert” as she was affectionately called, had a great sense of humor and expressed that by her famous quotes, like, “Well, I guess It’ll make a turd” when it wasn’t what she wanted to eat. After receiving her formal education, she relocated to Wilmington, Delaware. Bertha secured a position at the Riverside Hospital in Delaware as a Dietician where she was employed for 25 plus years until retirement. 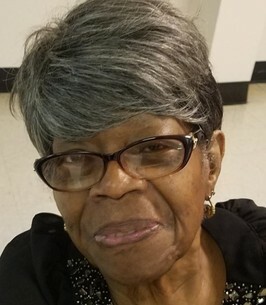 She was member of The former Glorious Full Gospel Tabernacle Center under the leadership of Chief Apostle Patricia C. Williams where she served on the mother’s board and enjoyed good ole’ time church. She recently rejoined under the leadership of Pastor Chaun and Tawana Ricks up until her health began to decline. She was a devoted Mother, Grandmother, Aunt, Cousin and Friend. Bertha was proceeded in death by her siblings Ola B. Williams, Emerson of Shreveport, LA; Henry Williams of Natchez Mississippi; Roosevelt Williams of Los Angeles; James Williams of Shreveport, John (Pee Wee) Williams, Sammie Williams Sr. S.T Williams, and Purlie Williams all of Minden Louisiana. She leaves to cherish her memory, a devoted daughter, Patricia English, (who she called Trish), four sons, Ronald Faulkner, Gilbert Hines “Tyrone”, Robert Coleman and the Late James Coleman, a son- in-love Steven English, (whom she called Vince) ten grandchildren, Courtney Jones, (whom she called Court-Court) Larry Saunders Jr. “ Bub”, (whom she called Bubbie) Nybria English, (whom she called Bre) Branisha English, (whom she called Monk), Tyria Forward, Tyren Melton, Tyrone Melton, Sheronica Frederick, Toya Coleman and the late Maurice Faulkner. Great Grandchildren, Kayvion English (whom she called KK), Saulé Saunders, Jonterica Taylor, Michael Taylor, Chase Melton, and Kabri Melton, Great Great Grandchildren, Kaiden Taylor, Karter Taylor, God children Pamela Murray and Candi Younger, adopted sister, Theresa Watts, devoted nieces Leola “Marie” Flowers of Louisiana and Carolyn Williams of California and a host of cousins, nieces, nephews and friends. 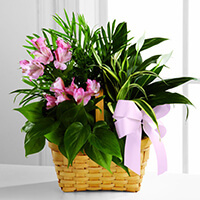 To send flowers to the family of Bertha Faulkner, please visit our Heartfelt Sympathies Store. From your late sister, Ola B. Emerson's kids: Talmadge, Eddie, Carolyn, and Marie and their families. To the Family of Mrs Faulkner, please accept our deepest condolences on your lost. Mrs. Faulkner was a member of the community on 17th St. Early on she participated in community clean up of the area and supported where she good for the good of the community. President, Vandever Ave Civic Assn.